We’re big believers in practicing gratitude over here. But let’s face it, sometimes we go through seasons in life where being grateful is just hard. Expressing gratitude in the midst of less than ideal circumstances is a choice we have to say yes to, and while it’s not always an easy one, it’s a super important one! 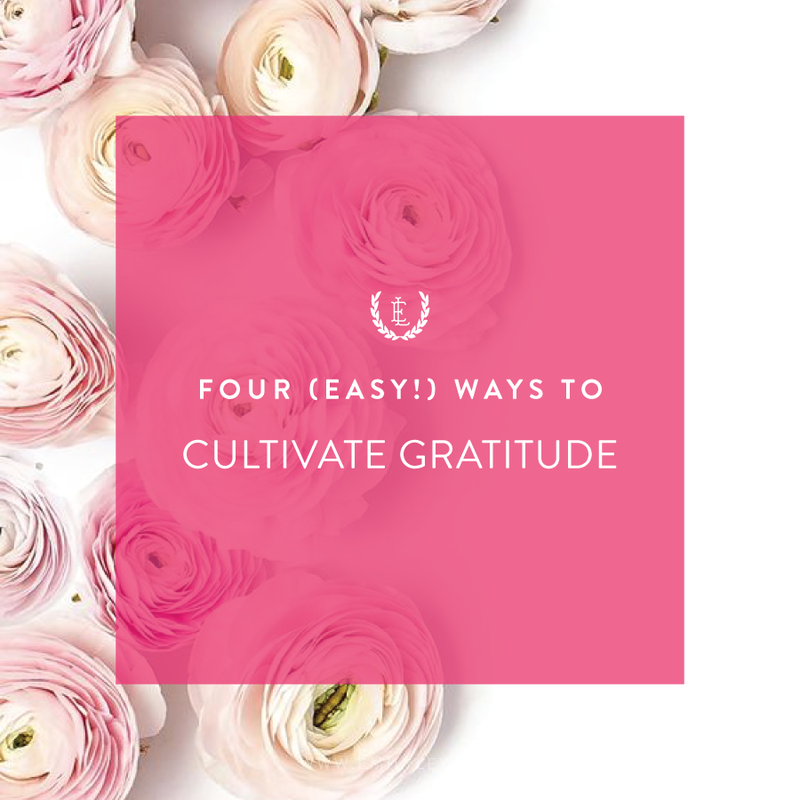 So, today we’re sharing four of our favorite ways to cultivate gratitude in your life— easy, practical things you can do to help spark joy and gratefulness even during life’s most stressful moments. 1) Keep a gratitude journal. Write down the things you’re grateful for. Start small. That glass of clean water sitting in front of you and the sun that’s shining through your window as you roll out of bed? Those are good places to start. We fail to appreciate these little moments in life if we don’t take the time to stop and recognize them. At the end of each week, month, or year, look back and reflect on all the things you’ve written in your journal. You’ll be amazed at what you may have otherwise overlooked! 2) Watch your words. The mouth speaks out of an overflow of what’s in your heart (Luke 6:45). Grateful people speak grateful words because they have grateful hearts. If you start speaking words of gratitude, studies actually prove that you will begin to believe those words, and your heart and mind will soon be overflowing with gratitude as a result. 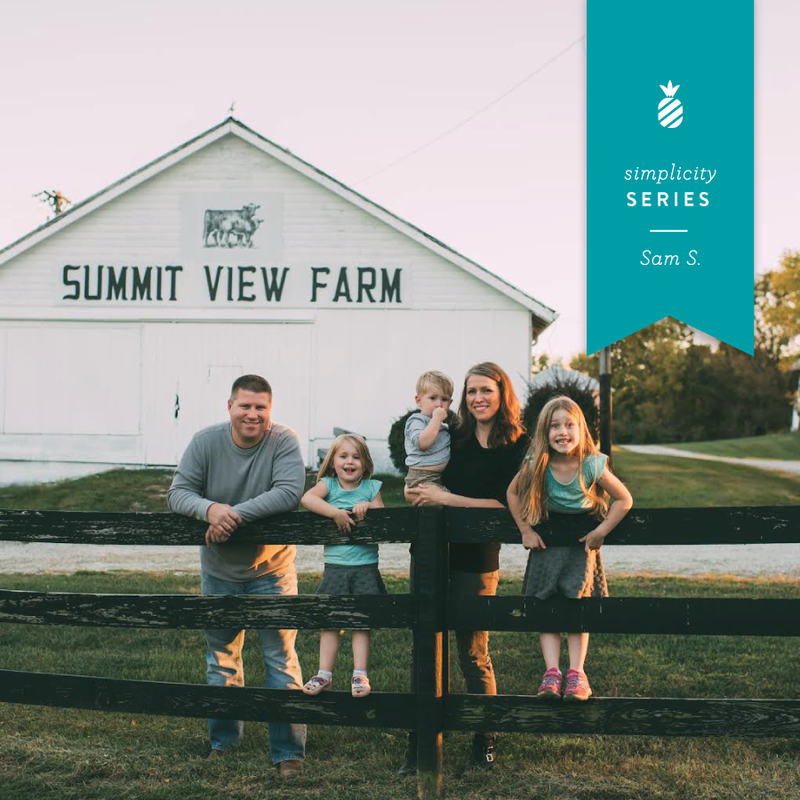 So, instead of complaining about that trail of crumbs that your messy three year old left behind, start thanking God that you have a little one to fill your home with joy and laughter…and crumbs. :) Perspective changes everything. 3) Learn from others. Find a few of the most grateful women you know and learn from them. Ask them questions. Read inspiring books (One Thousand Gifts by Ann Voskamp is a great one! ), and discover how others do it. Studying others is one of the best ways to improve yourself. 4) Write thank you notes. Take that gratitude journal one step further, and instead of keeping it to yourself, express your gratitude to someone who deserves it— your mail man, the barista who makes your coffee, your child’s teacher, or even a mentor from years ago that you never properly thanked. Your simple words of thankfullness will cultivate gratitude in your own heart and spark joy in the life of a special person.